Part of the Butterfly Group, Butterfly On Morrison is a boutique hotel located on Morrison Hill Road in Causeway Bay, Hong Kong. The hotel is surrounded by the best brand-name world-renowned stores, magnificent shopping malls and bustling dining centres in Causeway Bay, and Hong Kong’s neon entertainment strip in Wanchai – one of Hong Kong’s most exciting and captivating areas. 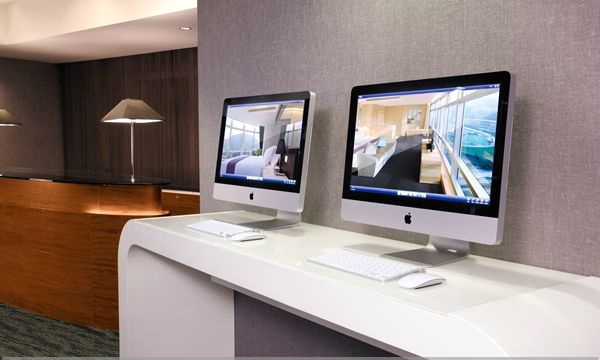 Just like Butterfly On Wellington, this Butterfly On Morrison hotel has an iMac corner in their reception area for guests to utilize their complimentary internet service. We enjoyed the comfortable, relaxing atmosphere of their contemporary European style guest rooms and high-quality amenities. Pictured below is Butterfly On Morrison’s executive room, with floor to ceiling views of the bustling city and a cozy bed with superior linens. And similar to most hotel rooms in Hong Kong, its restroom is quite small, with no bathtub, only a stand up shower stall. However, the shower stall is large and its rain shower head produces excellent water pressure. Also, the bathroom walls are all glass, but blinds can be drawn for privacy. 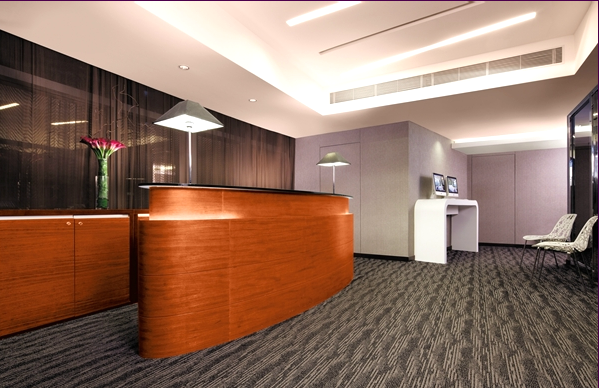 Their attentive staff delivered superior service that surprised and delighted us. For example, we ended up missing our flight back to Vancouver, but front desk guest services was quick and helpful to assist us with getting in contact with a representative from Cathay Pacific, and we were swiftly booked on the next flight. Although I enjoyed the location and larger-sized guest room of the Butterfly On Wellington hotel, I preferred the room decor of Butterfly On Morrison. 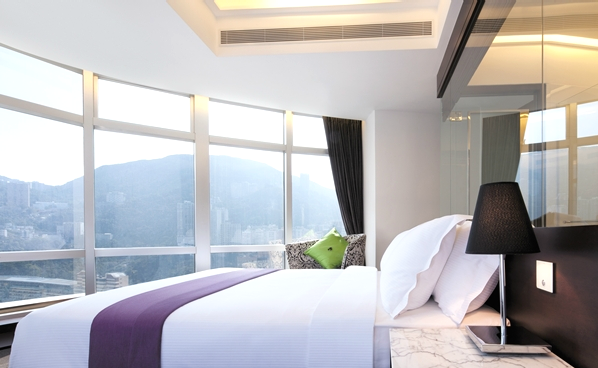 Overall, Butterfly On Morrison is a very modern, sophisticated, and well-priced hotel to choose when booking your next trip to Hong Kong.